The official full trailer for the upcoming animated sci-fi comedy Final Space has blasted onto the internet today courtesy of TV network TBS. The show, which is the creation of actor, comedian and independent filmmaker Olan Rogers, launches on TBS in the USA on 26th February from 10.30pm as part of a new Monday night animated comedy block with the new season of American Dad! David Tennant is one of the who's who of cult names voicing characters in the intergalactic space saga, playing the villainous Lord Commander. An astronaut named Gary and his planet-destroying sidekick called Mooncake embark on serialized journeys through space in order to unlock the mystery of where the universe actually ends and if it actually does exist. 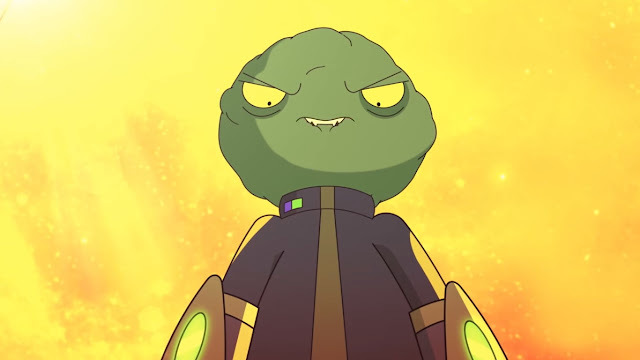 But Gary's new friend Mooncake has caught the attention of the sinister Lord Commander who wants the alien's awesome power for his own evil plans. 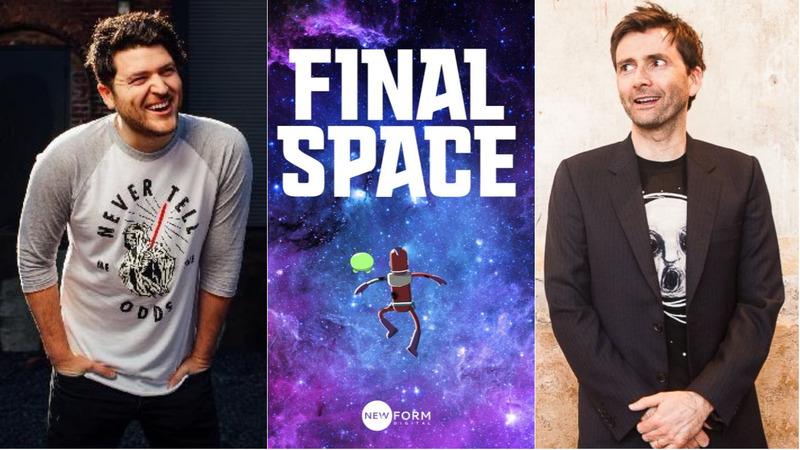 Rogers and David Sacks are writers and executive producers for the TBS original, which is being produced by Conan O'Brien's Conaco, New Form and in association with Turner's Studio T. Other cast members include Fred Armisen, Tom Kenny, Gina Torres, Steven Yeun, Coty Galloway, Caleb McLaughlin, Ron Perlman, John DiMaggio, Shannon Purser, Keith David, Andy Richter and Conan O'Brien. During his Q&A session at last weekend's Wizard World fan convention in New Orleans, David Tennant said of his character, "All I know is that at the end of any Final Space recording I can barely talk. There's a LOT OF SCREAMING. He shouts a lot, he's very angry!" Broadcast dates for other countries are not yet known but Olan Rogers has given (unconfirmed) suggestions that the series may be released digitally via iTunes.